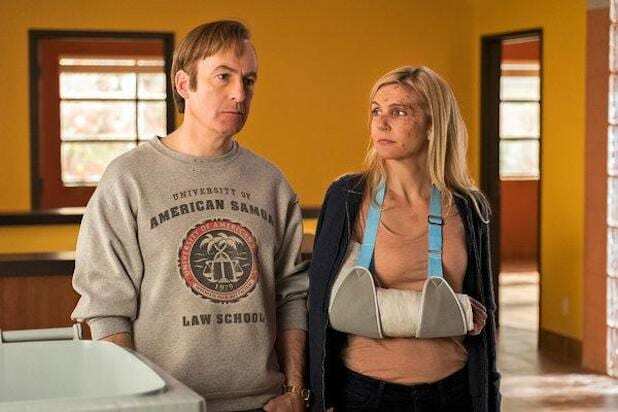 “Better Call Saul” co-creator Peter Gould said this week’s scenes of Kim Wexler in court broke a “lazy” rule of TV writing — and that “Saul” will keep breaking it. We talked to Gould about how “Saul” and his previous show, “Breaking Bad,” regularly broke one of the five rules constantly drummed into writers. You can listen on Apple or right here. 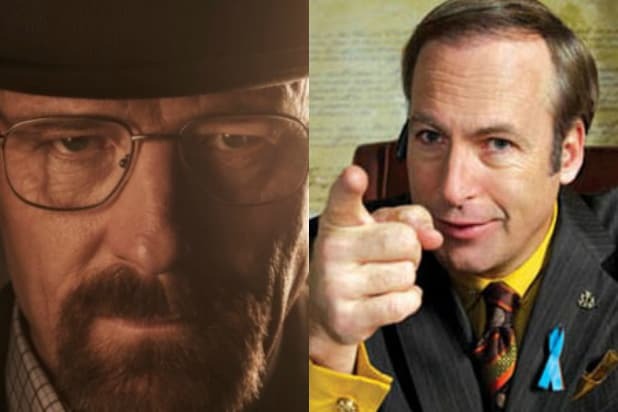 The “lazy” rule that “Better Call Saul” keeps breaking? That every scene must raise the stakes as much as possible to amp up the drama. Not much apparently happens in the scenes when Kim (Rhea Seehorn) sits in a courtroom looking for purpose or inspiration. But they give us insight into her character. Gould says that while Jimmy (Bob Odenkirk) is just trying to keep his head above water now that he can’t practice law, Kim is looking for meaning after her car accident last season. Kim’s courtroom scenes were born from something “Better Call Saul” writers used to do to prepare for the legal drama. They would go to downtown Los Angeles courtrooms and watch what happened. They called it “boredom in the court,” and learned that things you never see on TV — like discussions about scheduling — are a huge part of practicing law. “You take lower stakes things and you add them up and they become higher stakes,” Gould told us. And also? Whether Walter White is still alive during the black-and-white Omaha Cinnabon scenes. “Shoot This Now” is a podcast about stories that should be movies, and Gould also tells us about an idea for an HBO movie or miniseries he tried to make in the early 2000s including the Clinton-Lewinsky scandal — with puppets. We really, really want to see it. Still. Gould also gives us a few hints about what’s going on with Kim and Jimmy’s relationship: Jimmy has less noble goals than Kim, and is well on his way to becoming self-centered criminal lawyer Saul Goodman. “The thing I think they’re sharing is they’re both looking for purpose,” Gould said. We suspect it’s going to get ugly. Keep your babies close.